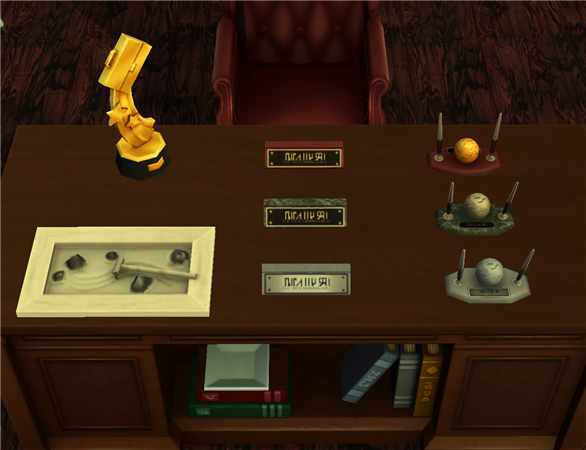 This is the business career reward set from one of the TS4 patches. The bookcase requires AL and all the wood and leather comes in a variety of recolours. I left the career requirements in the object descriptions because I'm nitpicky like that, and I changed the size of the miniature zen garden because it was goshdarn microscopic. Thank you for the conversions...especially the clutter items. They will come in quite handy. TS4 is absolutely perfect for converting, much quicker than TS3, so I'll probably have a lot more up in the near future. Thank you so much! These are so nice! 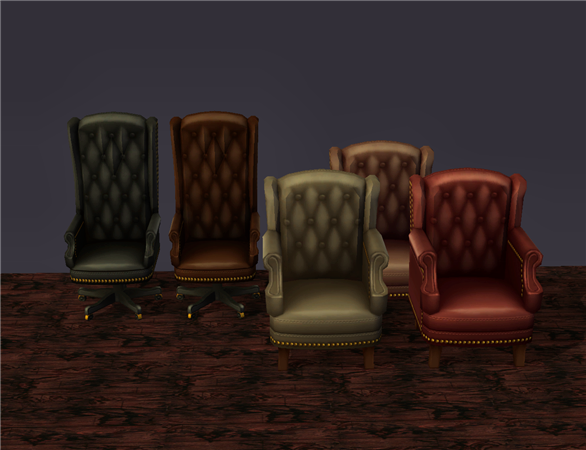 Haha, take a look at the descriptions for the chairs, I think you're spot-on. Kind regards, and stay healthy and well through the fickle April weather! Thank you, though I can't take much credit for anything since we even get the textures ready this time around. TS4 has so much awesome clutter, it's like christmas. Your well-wishes are extra welcome today because I just came down with something! Could you please add another link? For some reason I can't download this file from the Box.